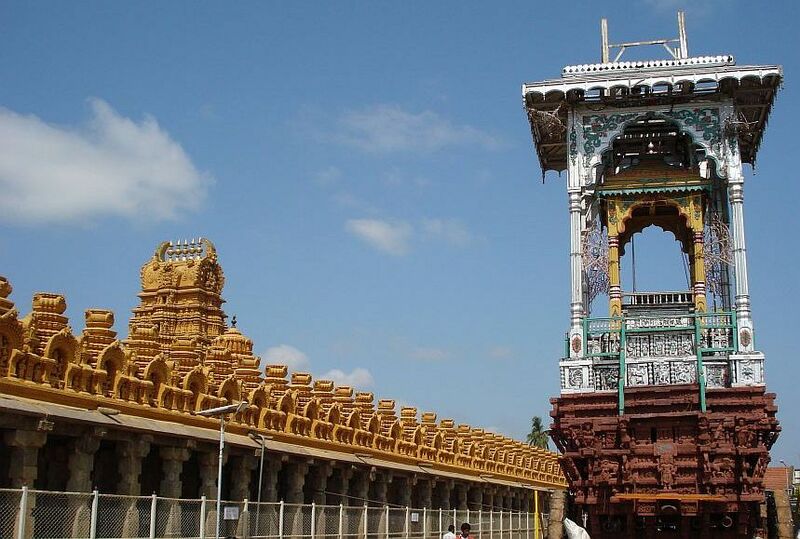 Nanjangud is one of the Hindu pilgrimage centres of Southern India and is known for the Huge Ancient Temple of Lord Srikanteshwara (Shiva) also known as Lord Nanjundeshwara. 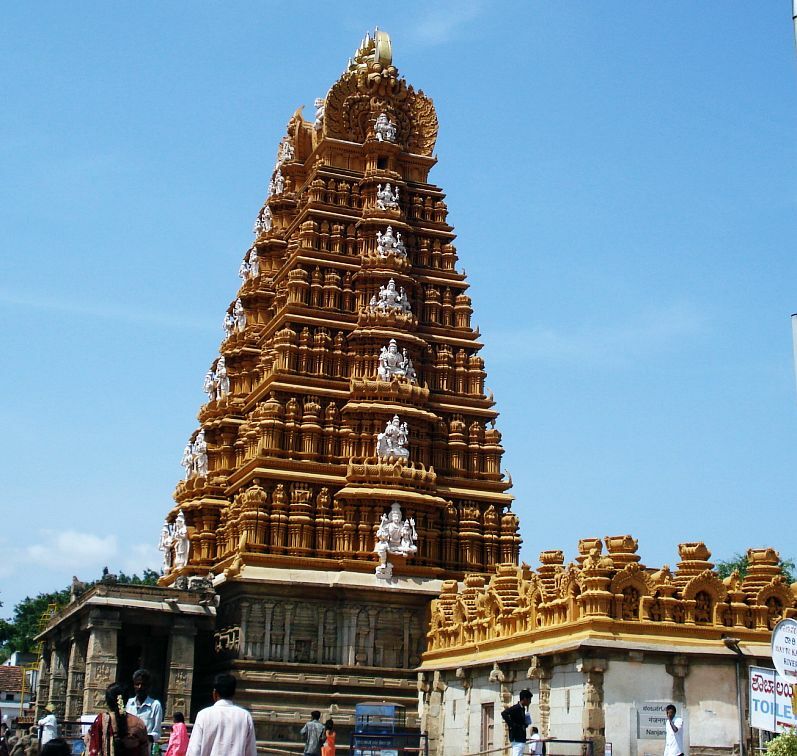 Nanjangud Temple is located in the town on the right bank of River Kapila. Nanjangud is also known as "Dakshina Kashi" or "Varanasi/Prayag of South". Nanju means poison, the name Nanjundeshwara means the God who Drank the Poison (Shiva) and the town got the name as Nanjangud which means the place of his residence. Nanjangud is also known as Garalapuri. Nanjangud Town is the Headquarters of Nanjangud Taluk and is situated in Mysore district in Southern India in the State of Karnataka. The shrine, cosmic Linga representing Shiva is very ancient one. Earliest records are available from the reign of Gangas who ruled this region for more than seven hundred years (325 - 1000 C.E). The original temple is of early Ganga period. Innovations were made during the reign of Hoysala, Vijayanagara (1339-1565 C.E) and Wodeyars of Mysore. Tipu Sultan of Mysore was a patron of this temple. It is said that the sultan believed that his elephant was cured of diseases by the grace of the presiding deity of this temple and hence he made endowments to this temple. Local legend says, this is the place of churning ocean by gods and demons to obtain nectar. Before obtaining nectar, deadliest poison gushed out, which would have destroyed the entire universe. Shiva the savior came to rescue and himself gulped down the venom, to save cosmos. Most of it got struck in his throat which turned green or blue. Hence he is also called Vishakantha (poison throated) or Neelakantha (blue-throated). His consort Parvati prevented the poison from entering Shiva's system by hugging him and clinging to his throat which otherwise would have been disastrous. Nanjundeshwara or Srikanteshwara Temple, Nanjangud. This temple is situated on right banks of Kapila (Kabini) River and is one of the oldest temples in India. 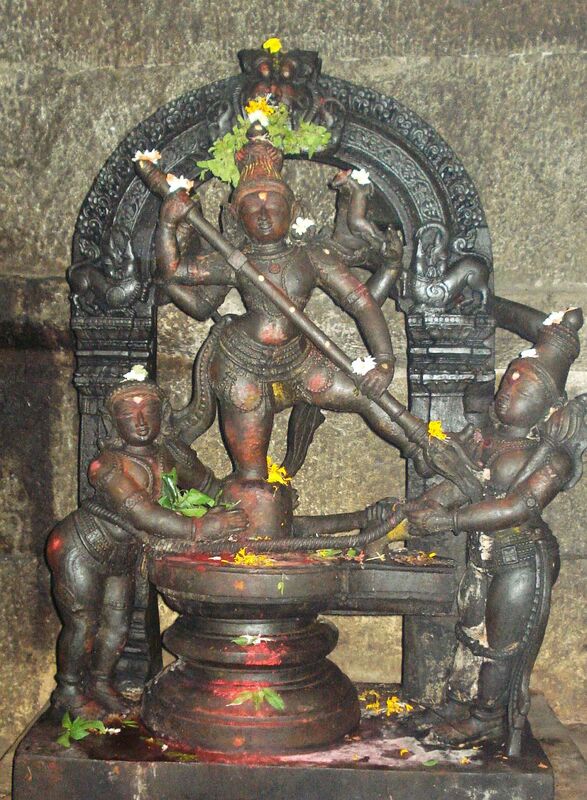 The Shiva Linga in the temple is believed to be installed by the sage Gauthama who had stayed here for some time. This Shiva Linga was also worshiped by Parashurama when he had stayed for some time in this town on his journey to get cleansed from the sin of beheading his mother. 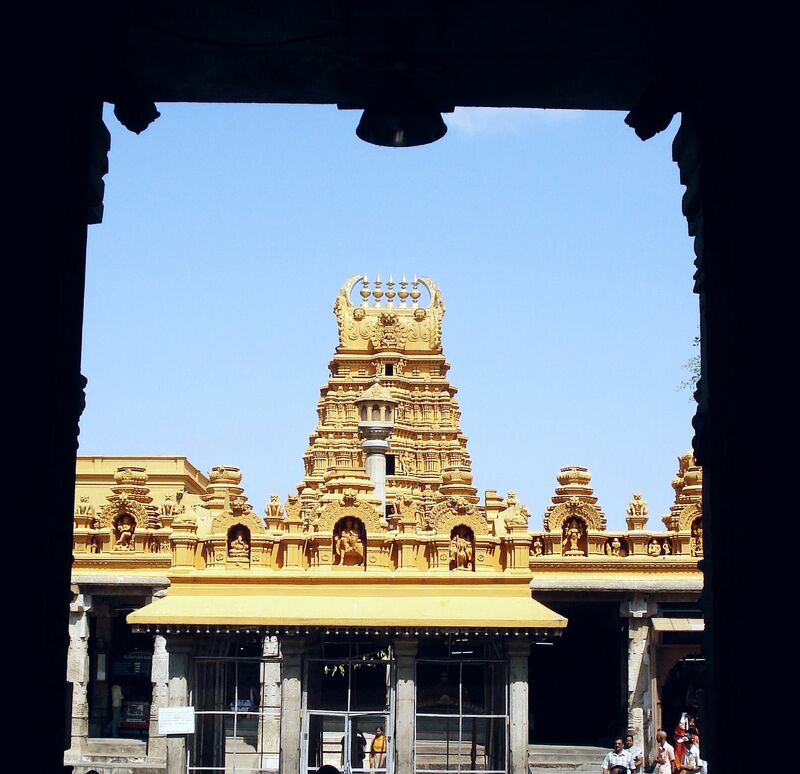 The temple had been under frequent expansion in phases and contributions from different rulers of the region for about 10 centuries by Gangas, Cholas, Hoysalas, Krishnadevaraya, Dalavoys and Wodeyaras from 9th century to 19th century. When Tippu Sultan's Royal elephant had lost its eyesight, he worshiped Lord Nanjundeshwara and had faith in Him. The eyesight of the elephant got recovered and Lord Nanjundeshwara was called as "Hakim Nanjundeshwara" by Tippu Sultan. Tippu Sultan then donated a Shiva Lingam made of jade (precious green stone) along with an emerald necklace to the temple. Hakim means doctor, Lord Nanjundeshwara is also called as "Vaidya Nanjundeshwara" and is even today said to be a healer for his devotees. 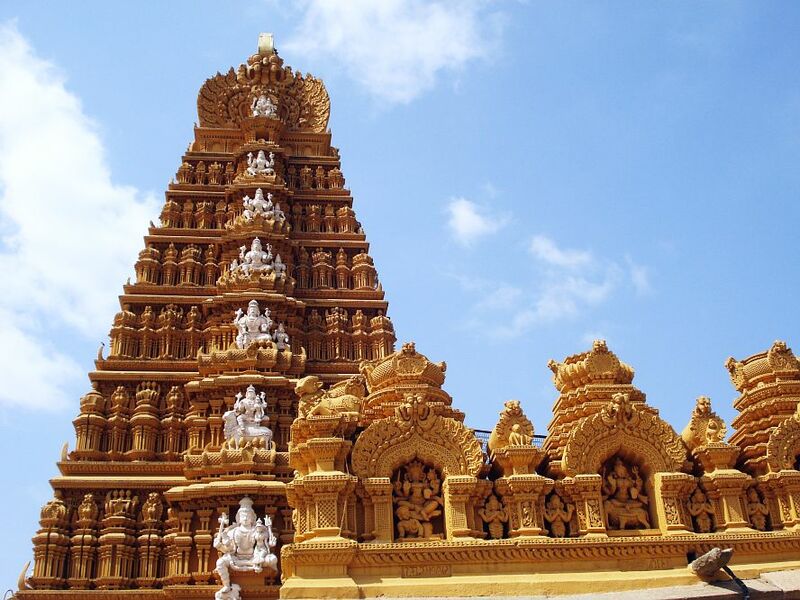 The Nanjundeshwara temple, Nanjangud is one of the biggest temples in Karnataka. It has an area of about 560 sq. meters (45 m N-S, 116 m E-W). It is built in Dravidian style, near to the river Kapila. 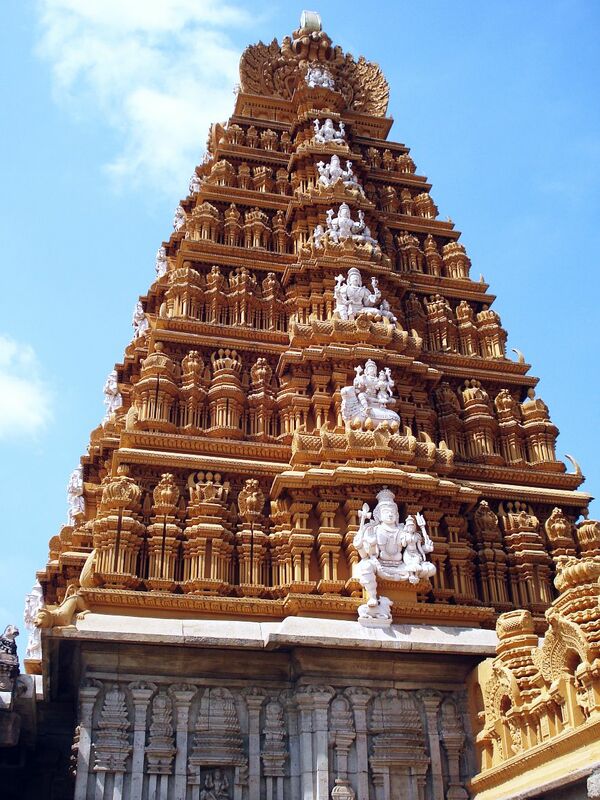 The temple's main entrance is facing eastwards and has a Gopura (tower) on the entrance which is about 120 feet high and is one of the largest Gopuras in Karnataka. 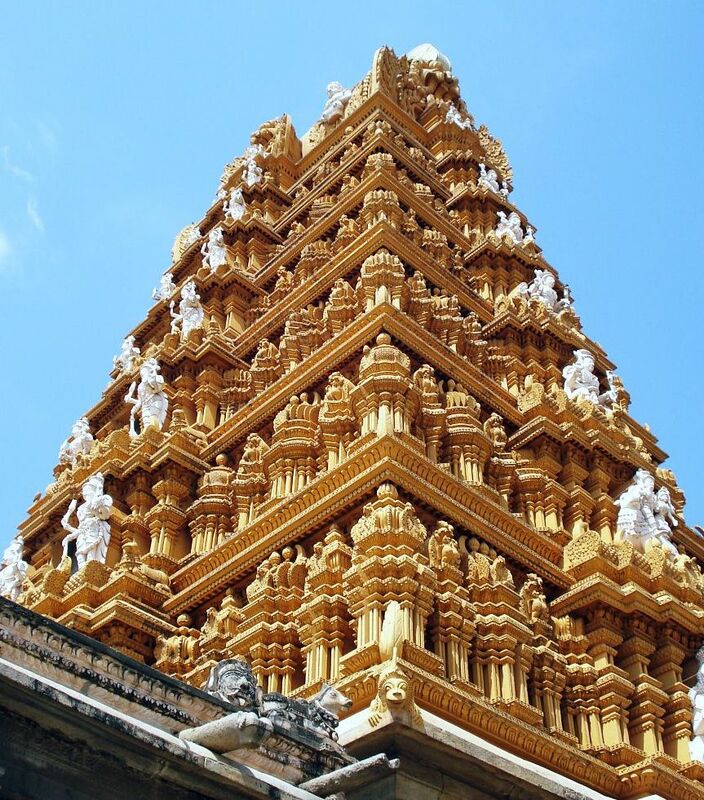 It has seven stories and has seven gold plated Kalasas on the top of the Gopura. This temple has 3 main deities, Lord Nanjundeshwara, Goddess Parvathi (wife of Lord Shiva) and Lord Vishnu with Sridevi and Bhudevi. The Shivalinga (Idol of Lord Shiva) is about 1 m in height. The other deities in the temple are Ganesh, Subramanya (Muruga or Karthikeyan), Goddess Sharada (Saraswathi), Chandikeshwara, Navagraha, and Nandi (Bull). There are sixty six Idols of shaiva saints called as Nayamnars. There are more than 100 lingas in the temple which are of different kinds and sizes of which Sahasra Linga is not to be missed. The Srikanteshwara (Nanjundeshwara) Linga is the oldest one. Maha Shivarathri, Girija Kalyan, Chikka Jathra, Dodda Jathra, Teppothsava and Laksha Deepothsava are the main festivals celebrated along with other festivals dedicated to Lord Shiva. Dodda Jathre (Big fest) in which 5 Chariots are pulled by the devotees in the main streets of the old town is celebrated in the month of March/April and on this day thousands of devotees come to Nanjangud for the festival. Devotees pull Five Chariots during this day and some of the devotees also do Jagaran on this night as on the night of Maha Shivarathri. The five chariots are dedicated to Ganesh, Srikanteshwara, Parvathi, Subramanya and Chandikeshwara. They carry their respective idols. Chikka Jathre (Small fest) is celebrated usually in November/December month. During this day, three chariots are pulled by the devotees. A procession of 11 small chariots will take place on Srikanteshwara Jayanthi. Chariot with Idol of Lord Subramanya is pulled by devotees on the day of Skanda (Subramanya) Shashti. Temple will be open from Morning 6am to Evening 8pm on Special Days and Mondays. I am very much impressed with the photos and the History of Nanjangud.- Veena. Does anyone know the phone number of he temple. The number mentioned is NOT working. Check the page about Nanjundeshwara temple in the website http://nanjangud.info/ ( http://nanjangud.info/nanjangud_temple.html ) for the timings, address and telephone numbers of the Nanjundeshwara Temple.